In the days of yore, it was easy to tell the difference between a tux and a suit. If Frank Sinatra was wearing it, it was a tuxedo. Everything else was just a suit. 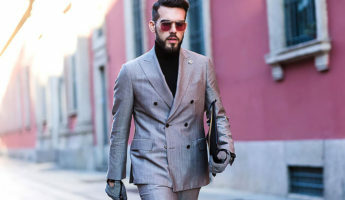 Since old blue eyes and his mob ties have left us, we’ve been adrift in a sea of semi-suit tux’s and marginal suit-edos that make every formal affair a fashion fright. 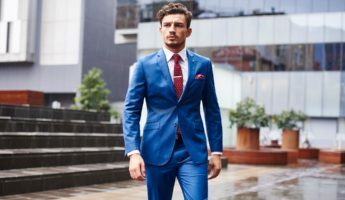 Even when we know the difference between our tuxedos and our suits, picking the proper one for the appropriate circumstances can leave us feeling like Tom Hanks in Big, sporting white tails to a black tie business function. 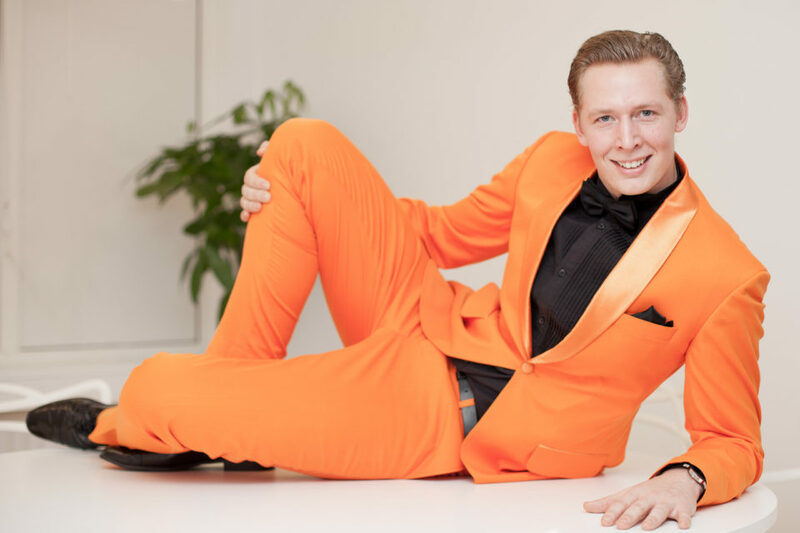 To prevent appearing like a ringleader introducing clowns when you should be at your quaffed best, and know when to dress down, there’s a few basic rules to follow, and a simple guide to knowing when a suit is required, and when it’s time for a tux. A basic rule between determining whether that suit you’re looking at is actually a tuxedo is all about formality. The more casual something looks, the less likely it is to be a tuxedo. If you’d feel out of place wearing it anywhere other than a gala, odds are it’s a tux. The most notable and traditional difference between a suit and a tuxedo is that a tux has satin, while a suit does not. Commonly, the satin will appear on the lapel, on the rim of the pocket, and as a stripe down the leg of the pants. Some use minimal satin that appears as a slender stripe on the edging of the lapels and a beaded line down the exterior seam of the pant leg. The hard and fast rule is: If there’s satin anywhere in evidence on the exterior, it’s a tuxedo. While all thumbs are fingers, not all fingers are thumbs. Though every suit that bears satin is a tuxedo, not every tuxedo bears satin. 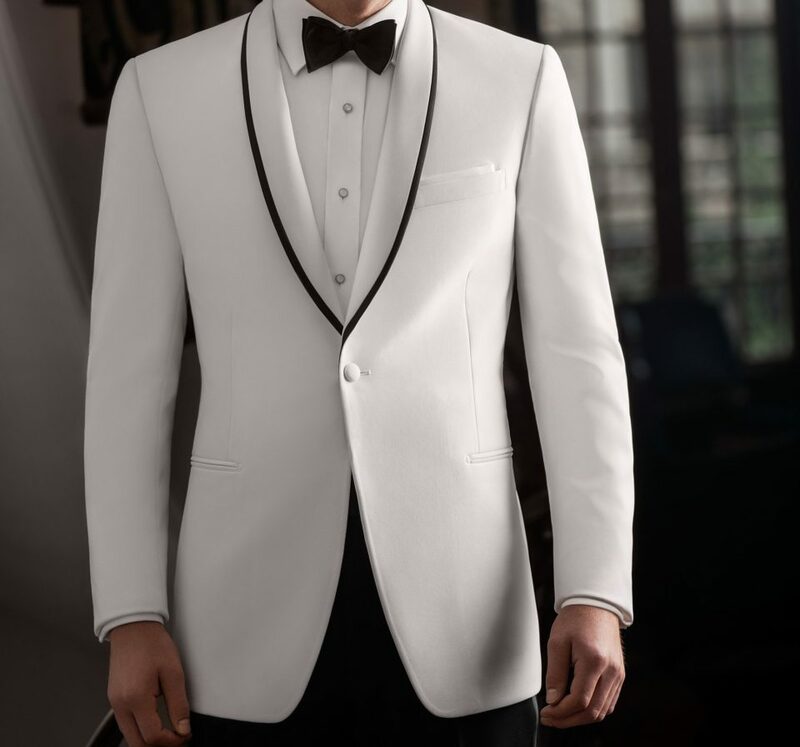 In tropical climates, you may find a tuxedo that has a white dinner jacket, often known as a “Tropical Black Tie” tux. Intended to offer less weight and a breezy fit, these are just as formal as satin-laced tuxedos, but offer relief from warm climates. Tuxedos use jetted pockets rather than those with flaps, unless they are of the aforementioned Tropical style. A suit almost always has flaps for the pockets. 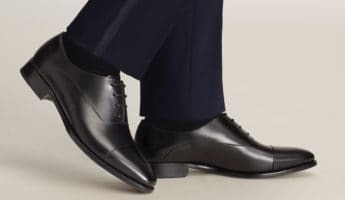 The jetted pockets create a more sleek, formal appearance while the flaps are more functional, which is why they are relegated to the more casual attire. Going along with the formality of a tuxedo is keeping the colors simple. A tuxedo is black, almost exclusively, and is meant to be worn with a black bow tie. Any pocket squares should be white. 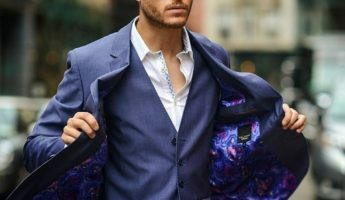 Though that powder blue polyester number with the frilled shirt might claim to be a tux, it is probably, in fact, nothing more than a slightly dressy suit that has been tarted up with tux-esque accessories. Black is formal, and white is generally formal. These are eveningwear colors, and are literally intended to only be worn after 5pm, though exceptions are made for daytime weddings or formal garden parties. 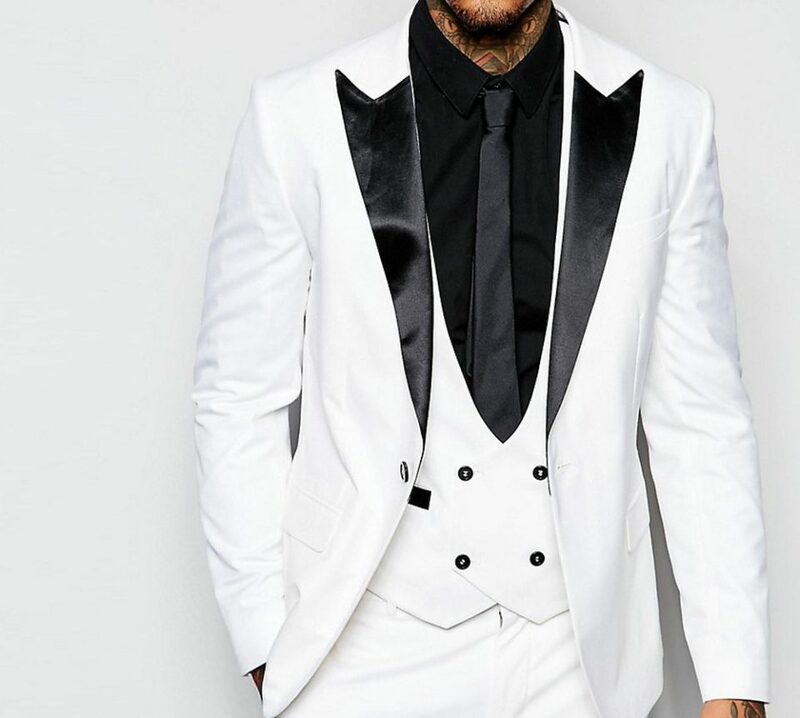 While ladies can arrive to formal balls and cotillions, proms and award shows wearing all the colors of the rainbow, gentlemen who want to show respect and formality should stick to black and white. Standard suit lapels are made of the same fabric as the rest of the suit, and can come in a variety of styles. On a tuxedo, not only are the lapels satin or silk, they are also reserved to the peak or shawl style. 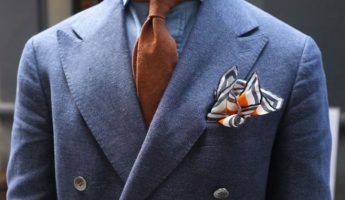 Notched lapels are too informal. 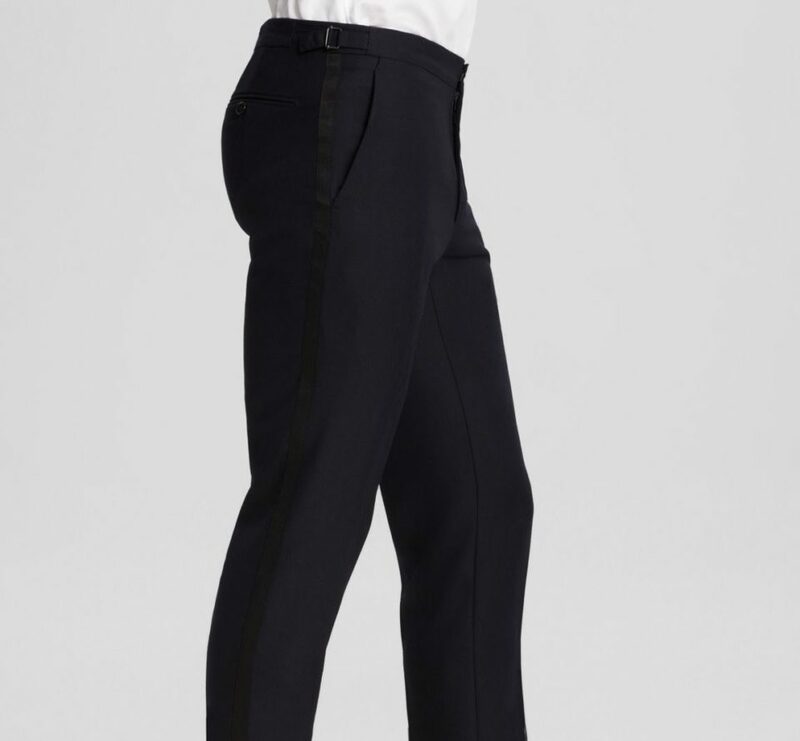 In addition to a braided satin stripe down the leg, tuxedo pants also don’t typically have belt loops. If you need to keep them up, suspenders are to be expected. Knowing is only half the battle when it comes to deciding what item of clothing to wear. 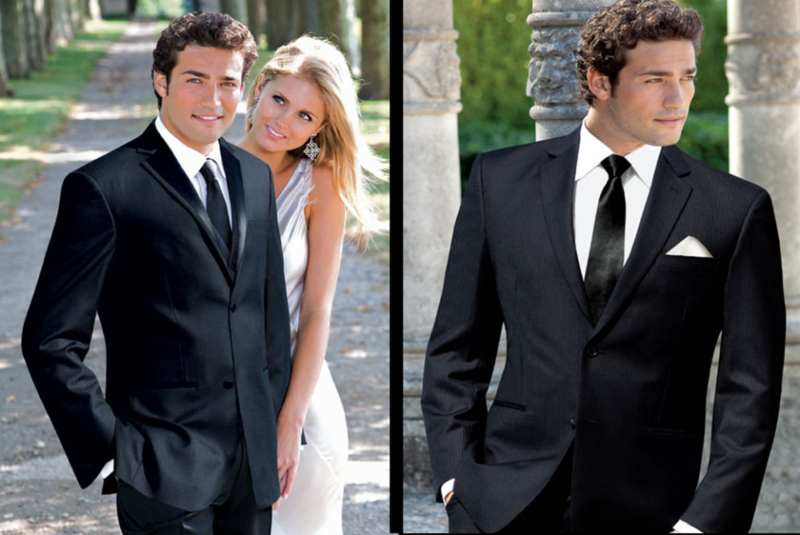 Being able to tell what is a suit and what is a tuxedo is helpful, unless you aren’t sure which one you need. Different rules apply to each, so here’s the ins and outs of donning either one. 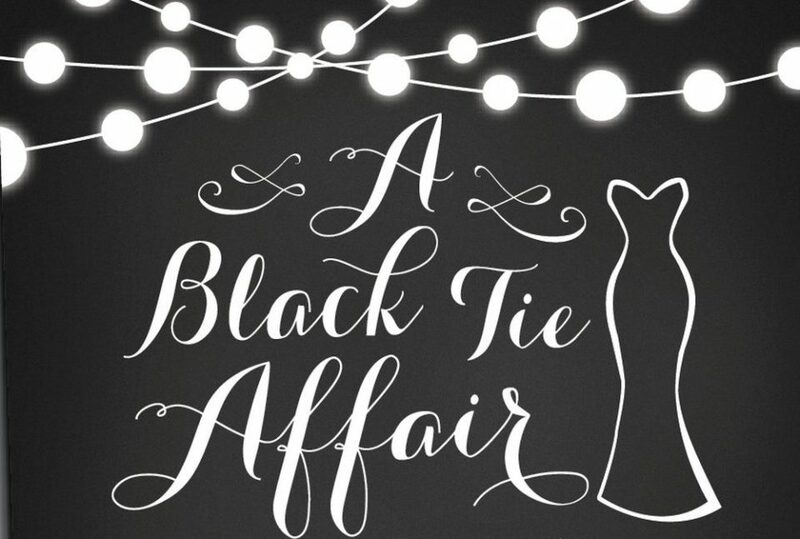 Black or white tie dress codes will be expressly stated on an invitation to an event. If you aren’t sure, the standard places where tuxedos are expected are dances of any kind that take place in the evening. 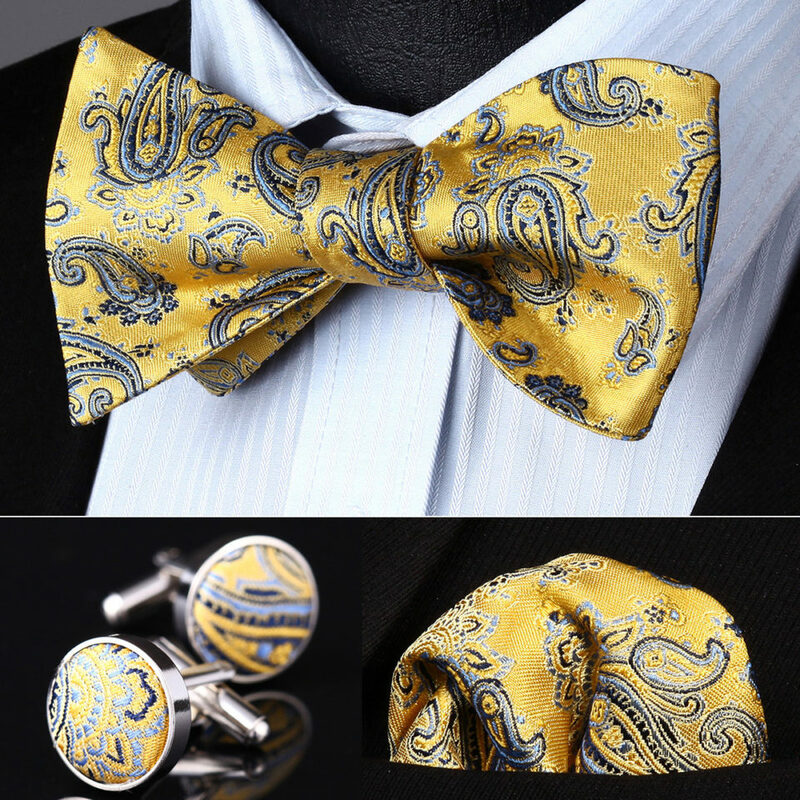 Anywhere that is expressly formal, such as formal dinners, formal ceremonies, or weddings. Certain parties will also be marked as formal, which shall almost certainly be stated on the invitation. 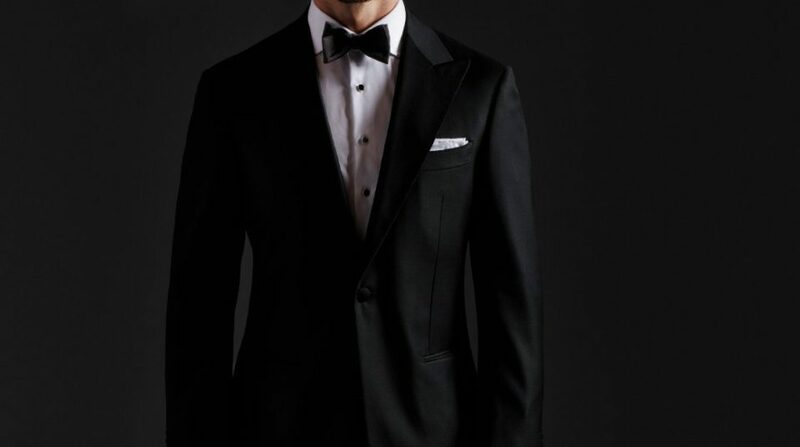 The opera, ballet, and symphony are loosely formal, meaning a suit is passing, but a tuxedo is preferred. 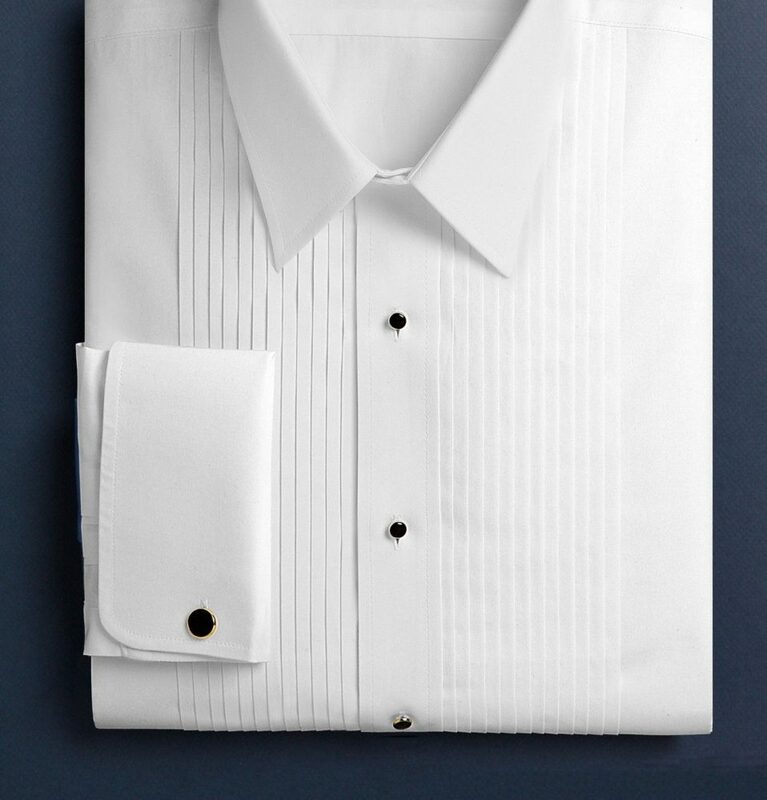 A tuxedo shirt is often fastened with hidden buttons and then adorned with studs that slip through the buttonholes. They also use french cuffs which require cufflinks. A shirt paired with a suit may have french cuffs, especially if wearing a double-breasted suit, but it does not require ornamental studs going down the front. 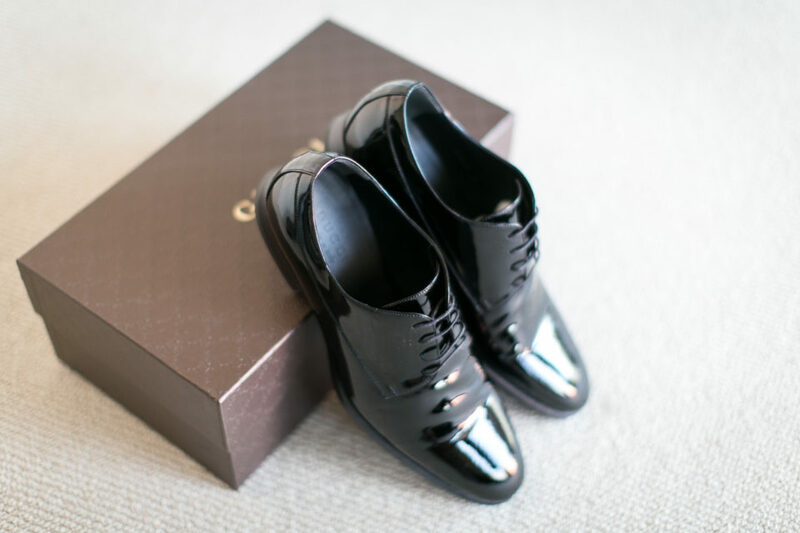 A tuxedo is to be worn with black patent leather shoes or slippers that shine. If going to a white-tie event, white shoes can be worn if the tuxedo is entirely white. 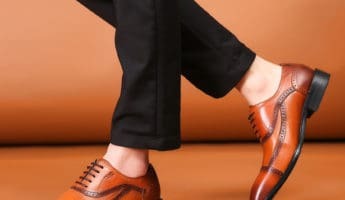 As a more informal garment, a suit can be worn with anything from boat shoes to Oxfords, though patent leather is not recommended. For a brief period in the 90’s and early aughts, there was a trend of wearing a standard tie with a tuxedo, so long as that tie was satin or a shiny sateen. That trend is dying off, so it’s suggested that you stick to a black or white bow tie with a tuxedo. A bow tie can be worn with a suit, but then you should be using a patterned tie. Suits are more commonly worn with standard straight ties. A suit can be worn without a tie, not so with a tuxedo unless the evening is over and you have undone your tie. Even then, it should remain around your neck. 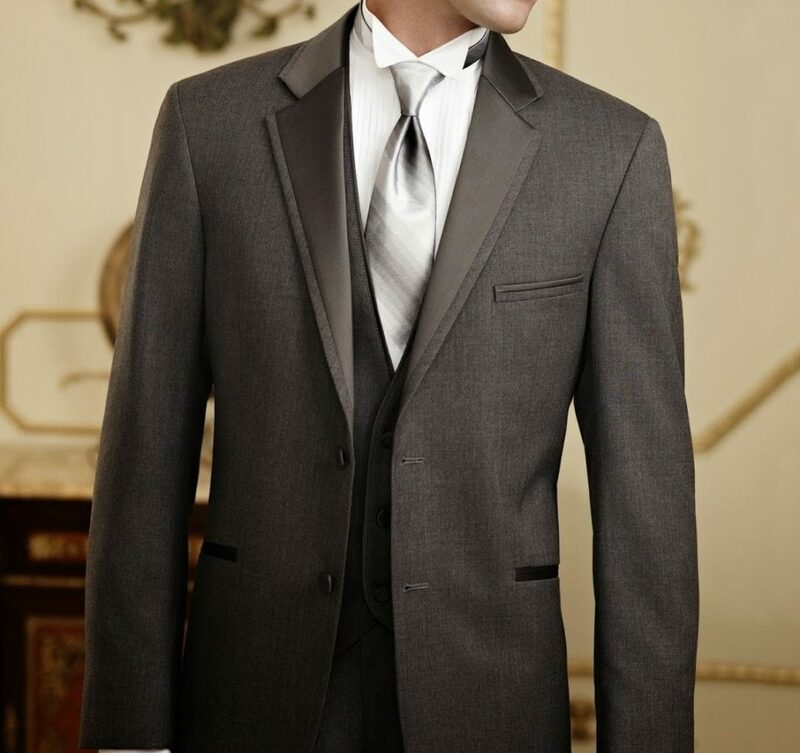 Tuxedos have more accessories, with either a cummerbund or waistcoat required. Suspenders can also be worn with a suit if you prefer, and a three-piece suit will incorporate a vest which adds formality to its appearance. Gloves have fallen out of vogue as a requirement, but having a set of white dress gloves on hand isn’t a bad idea when going to a black tie affair. Naturally, you can wear gloves with a suit for warmth, but take them off when indoors or you’ll be thought rude. As to coloration, all waist adornments should be black or white, with some flexibility to add in a dash of a single color in the waistcoat or cummerbund. These can also be patterned, but only extremely sparingly. When wearing a tuxedo, keep the black and white rule in mind, but you can add colors so long as they all work together. Your cufflinks can have some flash to them, but the more hues you begin to add, the less formal you will look. So as to avoid seeming disrespectful to the venue or the hosts, it’s best to remain as staid and sedate as possible, lest you look a fool who mistook an elegant pageant for a chili cook-off.